All cancellations must be made by e-mail only. On receipt of cancellation e-mail a confirmation of cancellation will be sent to e-mail given at time of booking. Telephone cancellations will NOT be accepted. If you wish to cancel or alter your reservation, 48 hours of notice must be given which is calculated using local checkin time. In the event of no-show or late cancellation the penalty charge will be equivalent to the first night of reservation. Towels rentals, and laundry service available. We offer security lockers for our dormitory room guests at no extra, however guests must bring their own padlock. 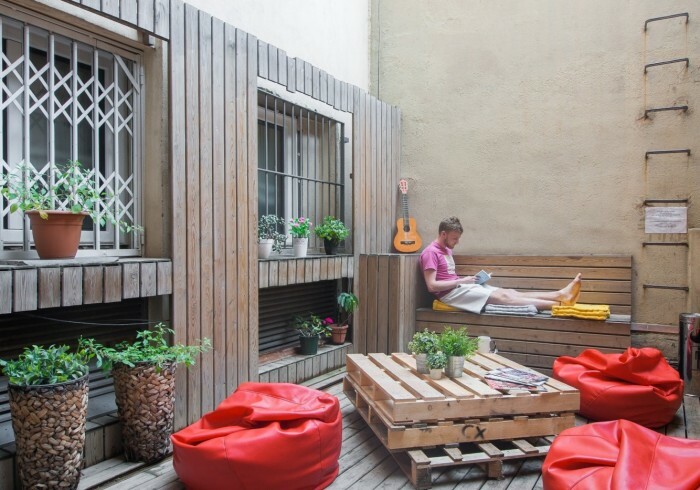 No Limit Barcelona Central is a spacious, and comfortable hostel located on Passeig de Gracia. Our property is minutes away from the majority of Barcelona's main tourist attractions + beside a Metro station. Offers comfortable, spacious, and bright rooms with shared common spaces (living room, kitchen). Free Wi-Fi, friendly staff, relaxed atmosphere and 24 hours' reception. Breakfast not included. City Taxes not included (€0.72 per person/night up to 7 nights). Towels rentals, and laundry service available. We offer security lockers for our dormitory room guests at no extra cost, however guests must bring their own padlock.